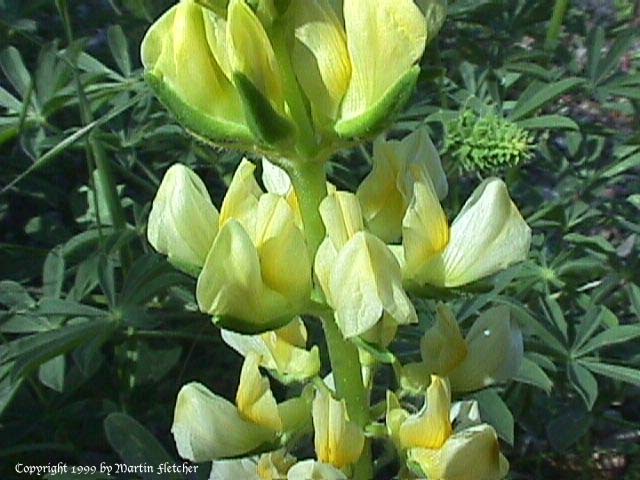 Lupinus microcarpus densiflorus is a yellow lupine that blooms from mid to late spring starting and ending about two weeks behind the blue Lupinus succulentus. I ask for both in seed mixes because they perform so well in disturbed locations. The most successful stand of Lupinus microcarpus densiflorus naturalized onto an infrequently used section of a gravel drive. Yellow flowers of Lupinus microcarpus densiflorus - Chick Lupine.